Why choose the Armadillo™ Boxing Gloves? The Armadillo™ Boxing Gloves are Punch® Boxing Gloves premium sparring glove. This glove has a massive amount of padding throughout and is injected at the tip of the glove with Armadillo padding for you and your opponents' safety. If you're getting hand or wrist injuries during training, we definitely recommend switching to the Armadillo Boxing™ Gloves. The glove is designed in full cowhide leather with Punchtex in the palms for extra moisture and sweat resistance. It also comes with a white circular ended tip design so you can easily see punches being thrown your way. It's available in Black, Blue and Red. The 16oz is a preferred weight for sparring, however, the 12oz is still the perfect sparring glove with the Armadillo injected padding. So if you're looking for the ultimate protection in a boxing glove, choose the Armadillo™. We always recommend wearing wraps or inners when using boxing gloves to extend the life of the glove and to help absorb sweat quickly. 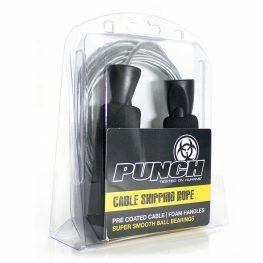 Buy hand wraps and cotton inners online today. Learn how to buy the best boxing gloves from Punch® Equipment in the Ultimate Guide. 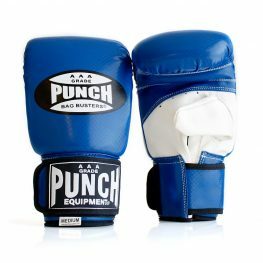 For the best safety boxing gloves online, buy from Punch Equipment® today. We provide a huge range of boxing gloves online in Australia, New Zealand and Globally. Best gloves I’ve used! Perfect fit, great quality, super protective for myself and training partners! Also great on the bag. Great gloves, super comfy, perfect fit! I use these gloves in training and competitions – I would highly recommend them to any promoter or gym thinking of running competitive amateur boxing. They provide protection for both the wearer and his opponent. I’ve made enquires with WA’s Combat Sport Commission and they support my use of them in up coming amateur events. I’ve invested in 16 pairs and if they are like PUNCH’s other products they’ll last years and years. I have used punch gloves for 8 years. I think these gloves are the best yet. Great wrist protection and perfect for me . With damaged hands due 2 pro boxing fight. Now with these gloves i can punch with full snap and power and give me full protection without any worries. Great job with these gloves guys there the best out. Best gloves I’ve used for sparring!! I had a history of breaking my left hand (4 times), and these gloves have been magic ever since I started using them, taken all the worry out of training. Outside of the injury prevention, they are also just a very nice glove to box with. Not too cumbersome like a lot of 16oz gloves. Highly recommend the gloves, and highly recommend Punch for their service. I like them so much I use them while masturbating! Amazing gloves. Always had hand issues with others brands (knuckles and thumbs) but since using these have not had a single injury. I have smallish hands and the earlier versions fit perfectly – I often find other brands to broad. Give them a go. Comfortable, Great fit and provide effective support.